Double brushed poly seems to be the new 'it' fabric these days. It is buttery-soft, stretchy, drapey, and can be used for a huge range of projects. The most popular items I see made from DBP are leggings, skirts, and loose tops. Need inspiration? Check out the Double Brushed Poly projects on our blog! Soft, drapey, stretchy, and the perfect weight for all sorts of apparel, our double brushed poly is our most popular item in the shop! It’s fine enough for fashion, yet comfy enough for pajamas –this really is the best of both worlds. Drapey, stretchy, and super-soft, everyone can’t seem to get enough of double brushed poly these days! 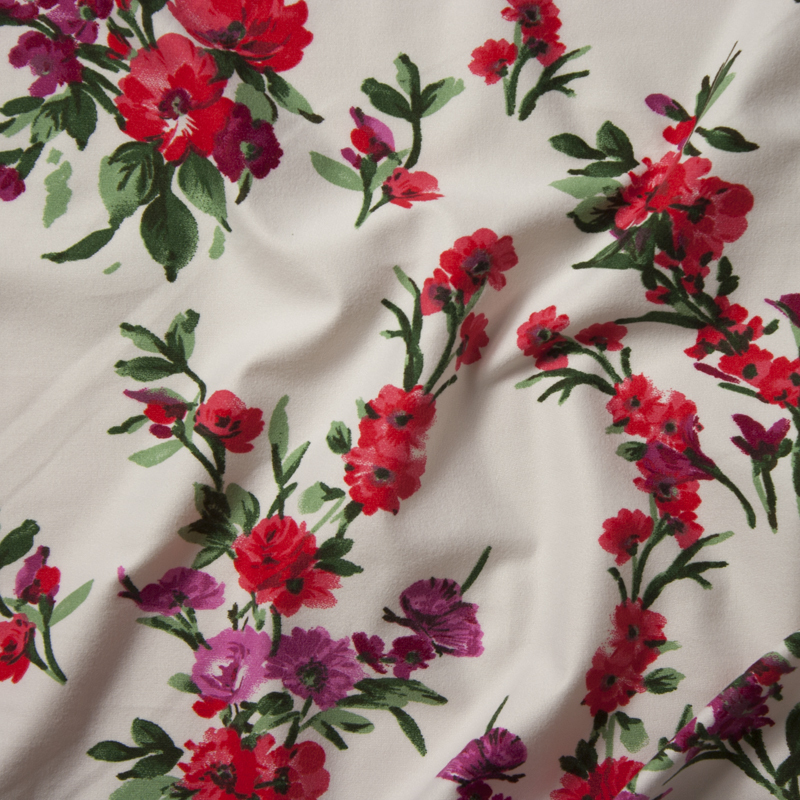 This is a super versatile fabric, which is often used for everything from tees and tops, to dresses, leggings, and more! Super soft, stretch, and oh-so comfy, our double brushed poly is one of our most popular items! This is a drapey lighter midweight, perfect for anything from tops to skater dresses, and is stretchy enough for a comfy pair of leggings! The perfect meeting of soft and stretchy, DBP is made for comfort! This gorgeous print is perfect for a skirt, dress, top, or leggings! This fabric is brushed on both sides for maximum softness, drapes well, and has lots of stretch in all directions. It’s the perfect choice for all sorts of garments, including tops, leggings, dresses, skirts, and more. Double brushed poly is a stretchy and super-soft knit which deserves every bit of its popularity right now. This versatile knit is perfect for leggings, dresses, tops, and so much more! Butter soft on both sides, with great stretch and drape, this double brushed poly spandex knit is perfect for everything from tops and dresses, to a pair of leggings! This is a stretchy and super-soft knit, which is brushed on both sides for maximum comfort. A great option for leggings, dresses, tops, skirts, and more! The perfect meeting of soft and stretchy, DBP is made for comfort! This gorgeous print is perfect for a skirt, dress, or top!